One of the reasons why I still blog are the people I meet along the way. I recently partnered with Athleta Greenwich and Coverybox for a shopping night - the events manager at Athleta thought we would be a good match. As expected, I really enjoyed meeting founder Stephanie and am excited to share her newly launched company. 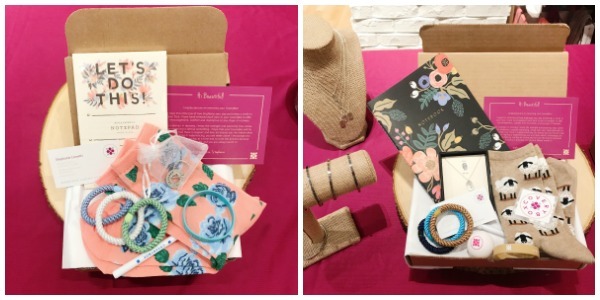 She curates gift boxes aimed to support, encourage and inspire women affected by mental illness, addiction and other life struggles while they are in treatment or the recovery process. I have never experienced these struggles firsthand but I know people that have and felt at a loss when it came to how I could help or what to give. This is a great way of sending encouragement when you might not know the "right" thing to say but want to show you care. 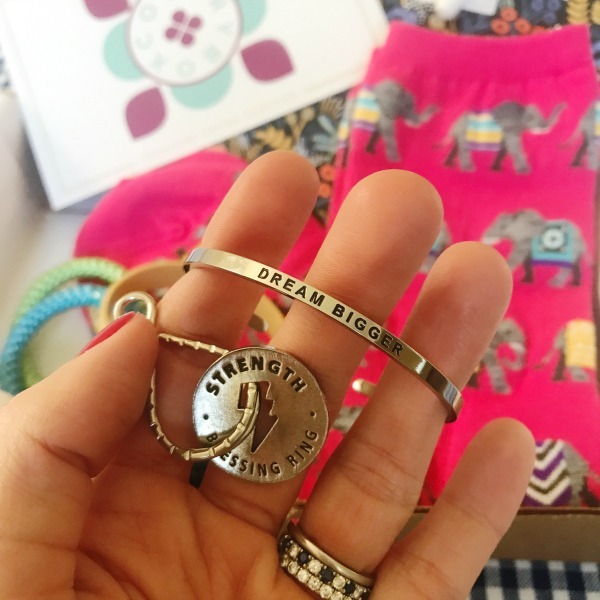 Items such as printed socks, hair ties, lip balms, notebooks, and pens are included along with motivational messaged jewelry. Here's a sampling of some of her other selections from the event. She's been traveling to events all around the Northeast. I know this box of goodies could make a world of difference to someone in recovery or battling chronic illness and hope that my little corner of the web spreads the word to make that happen.